Tamil movies : Dhanush: Tough time to get Rajini's consent!! 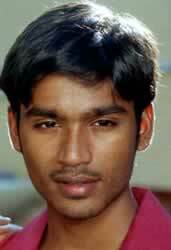 Guess why hero Dhanush watches yesteryear hits of his father-in-law as a daily routine? No, not that he wants to learn something. He wants to bring these hits in a re-mix form into his own films. He is already working on Ennama Kannu from Mr.Bharath (the Superstar and Sathyaraj starrer) to be pasted into his Thiruvilaiyadal. In the remix you will find Dhanush and Prakash Raj doing the number that Rajini and Sathyaraj did in the original. Inside sources say that Dhanush had a tough time to get Rajini's consent. It was Dhanush's intransigence that won finally.